This module will provide information on how assistive technology can empower individuals with disabilities who may be searching for employment or trying to maintain employment. Please click the following links for more information! 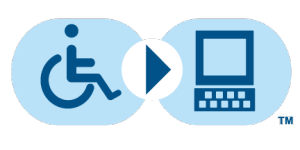 This website provides complete information about ADA law related to employment, accommodations for specific disabilities, and other resources for both employees and employers. This resource is only available to employees of Department of Defense and other partnering Federal Agencies.